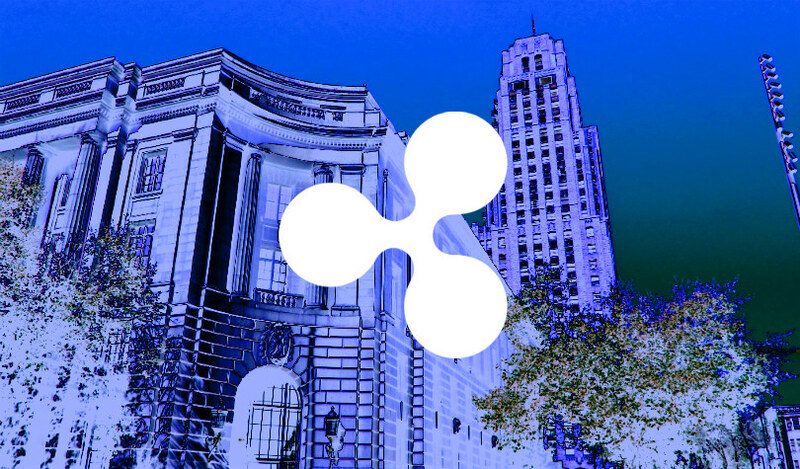 A lawyer who focuses on litigation involving securities at the firm Kobre & Kim just issued a big update on the class-action lawsuit against Ripple, which alleges the company violated state and federal laws by selling XRP as an unregistered security. According to Jake Chervinsky, who is well-known in the crypto community for his insight on blockchain-related cases and exchange-traded funds, Ripple will likely issue a motion to dismiss, when the time is right. As a refresher, the plaintiffs in the case allege that XRP is an unregistered security and that Ripple broke the law by issuing and selling it to the public. The plaintiffs say every class member – meaning every XRP purchaser – is entitled to a refund, plus compensatory damages. First, the Court ordered the plaintiffs to post a public notice of the case, which they did on Wednesday. The notice tells all potential class members out there – again, all XRP purchasers – that they can seek appointment as lead plaintiff, if they want. The lead plaintiff, also known as the class representative, is responsible for making decisions on the class’s behalf, like which law firm should be lead counsel and whether to accept a settlement. One of the original plaintiffs could become lead plaintiff, but not necessarily. The Court’s order gives potential class members 60 days – until May 20 – to file motions for appointment as lead plaintiff and for approval of their selection of lead counsel. The Court will then need some time to make a decision. Nothing else will happen before it does. One side note that you might find either funny or frustrating, depending on your view of Ripple and XRP: check out how one of the law firms representing the named plaintiffs described the case in its notice… You can tell the lawyers are getting heated already. Second, after lead plaintiff and lead counsel are appointed, the Court’s order gives them 45 days to file a new consolidated complaint asserting every legal violation that the class believes Ripple committed. At the very earliest, the consolidated complaint will be due in July. Third, after the consolidated complaint is filed, Ripple will *finally* have to submit a substantive response. I expect that will be a motion to dismiss, arguing that the allegations in the complaint – even if true – don’t add up to a violation of the securities laws. The court’s order gives Ripple at least 45 days after the consolidated complaint is filed to submit a response. That means it could be September before Ripple has to say anything of substance on the record. I’ve mentioned that class actions move at a glacial pace, right? Oh, and we’re not quite done. If Ripple files a motion to dismiss, the Court’s order gives the lead plaintiff another 45 days to file an opposition brief, and then gives Ripple 30 more days to file a reply. So, the court might not even consider the motion until November. There’s no way to predict how long the court might take to resolve a motion to dismiss once fully briefed, but I’d say three to six months is a decent estimate. Point is, I won’t be surprised if there’s a motion to dismiss still pending before the court one year from today. In the meantime, the court could order the start of discovery, a process where both sides gather evidence from each other using devices like interrogatories, depositions and requests for documents. No, it’s not public. You don’t get to live stream depositions of Ripple execs. Unless Ripple wins a motion to dismiss, discovery will go on for a long time. In class actions, discovery usually takes more than a year to complete. I won’t bother telling you all the stuff that happens during and after discovery. I’ll cover it if and when the times comes. What about settlement? In theory, the case could settle at any moment. But in reality, class actions usually don’t settle until after the class certification stage. Pre-certification settlements have limited upside for both parties, so I’d be surprised if this settles soon. So, when will we know if XRP is a security? Probably not in 2019 unless Ripple decides to change course and voluntarily treat XRP as a security (which I sincerely doubt). Class actions are good for many things, but quickly resolving complex securities issues isn’t one of them. And here’s your reminder that the SEC has nothing to do with this case. The SEC’s enforcement lawyers are probably following along to see how the case develops, but they aren’t directly involved and they can do whatever they want regardless of what happens in the class action. I’ve also heard some of you ask how much money the plaintiffs are spending. I don’t know about this particular case, but in general, many law firms take class actions like this on contingency – no win, no fee – so it could be that the plaintiffs aren’t paying anything at all. Others have asked whether the plaintiffs are being bankrolled by a shady cabal of conspiratorial enemies trying to take down Ripple. Uh, probably not. There is such thing as third-party litigation funding, but that’s generally a calculated investment, not a malicious attack. You can check out Chervinsky’s full tweetstorm on the lawsuit here.